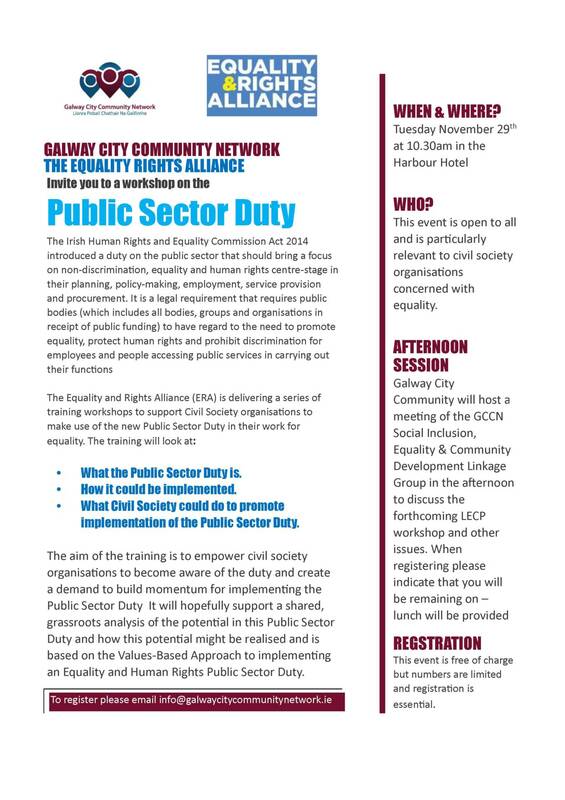 What the Public Sector Duty is. How it could be implemented. 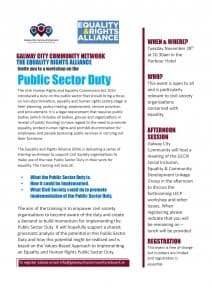 What Civil Society could do to promote implementation of the Public Sector Duty. 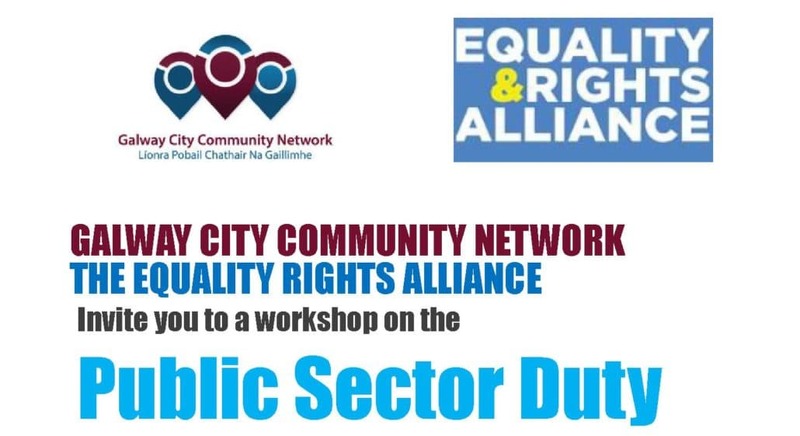 The aim of the training is to empower civil society organisations to become aware of the duty and create a demand to build momentum for implementing the Public Sector Duty It will hopefully support a shared, grassroots analysis of the potential in this Public Sector Duty and how this potential might be realised and is based on the Values-Based Approach to implementing an Equality and Human Rights Public Sector Duty. WHO? – This event is open to all and is particularly relevant to civil society organisations concerned with equality.